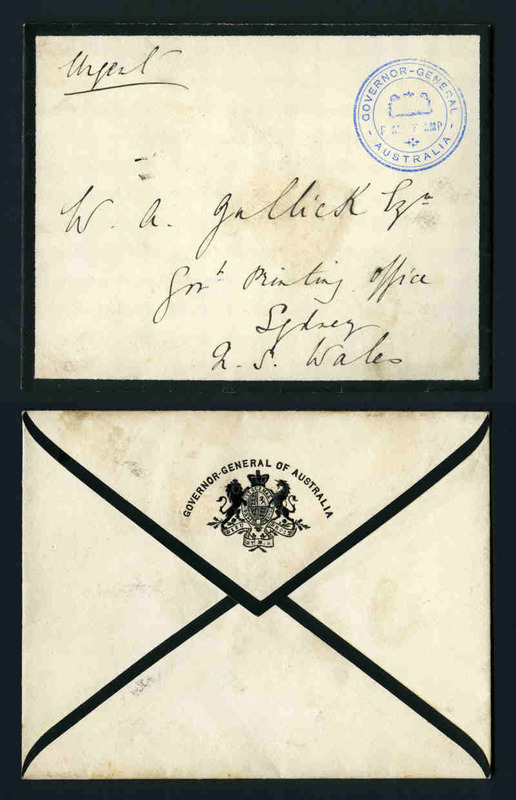 'GOVERNOR - GENERAL/FRANK STAMP/AUSTRALIA' handstamp in blue on 'GOVERNOR - GENERAL OF AUSTRALIA' mourning cover uncancelled. VG condition. 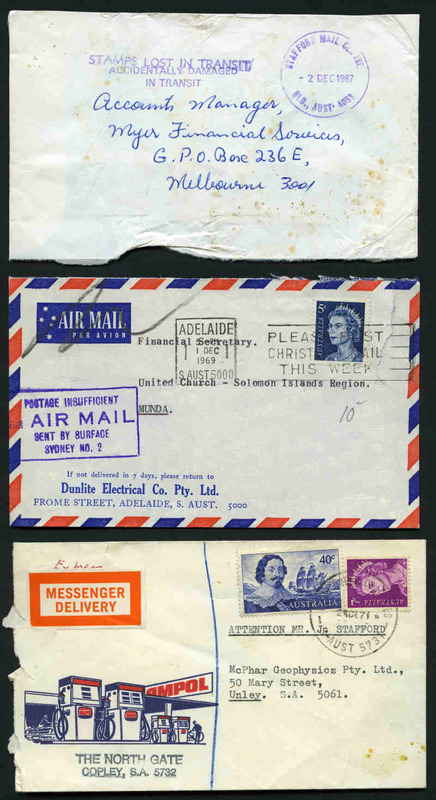 Accumulation of hundreds of old Receipts and Documents from 1920's to late 1960's, mainly from a South Australian Car Dealership including many with Duty stamps attached in shoebox. 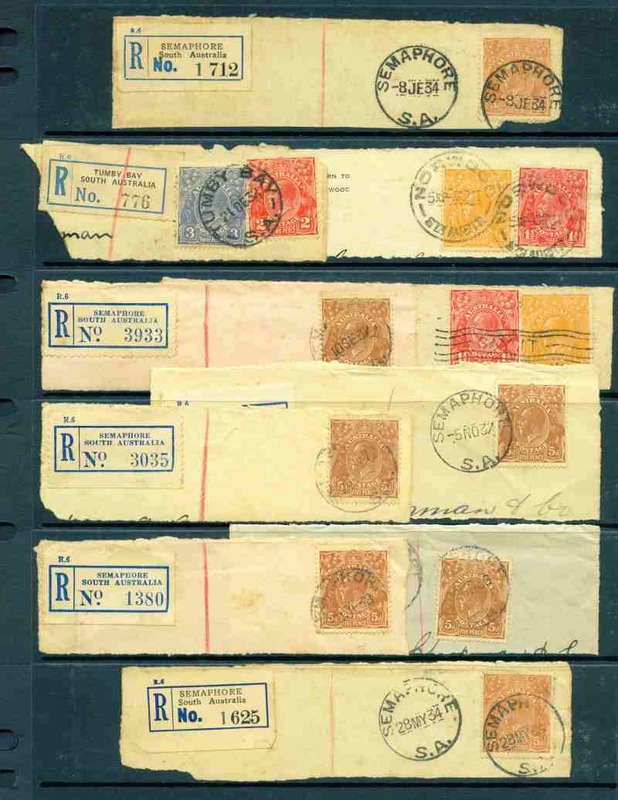 Noted 6d (15), 1/- (5), 1/6 (2), 2/6 (4), 3/6 (2), 4/- (2) and 6/- Impressed Duty Stamp Entires. Varying condition. 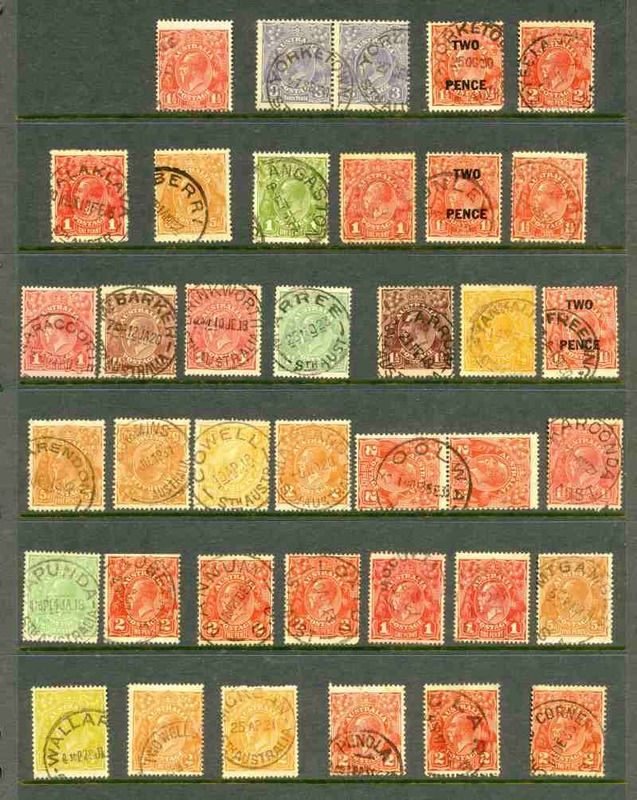 Selection of 159 commercial covers stamped with KGV issues to 5d value including registered, advertising and mourning covers with few varieties. Noted O.H.M.S. 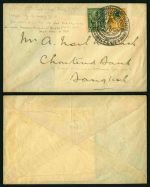 Secretary for Lands cover front stamped with ½d Green and 1d Red perf OS with 'DEPT. 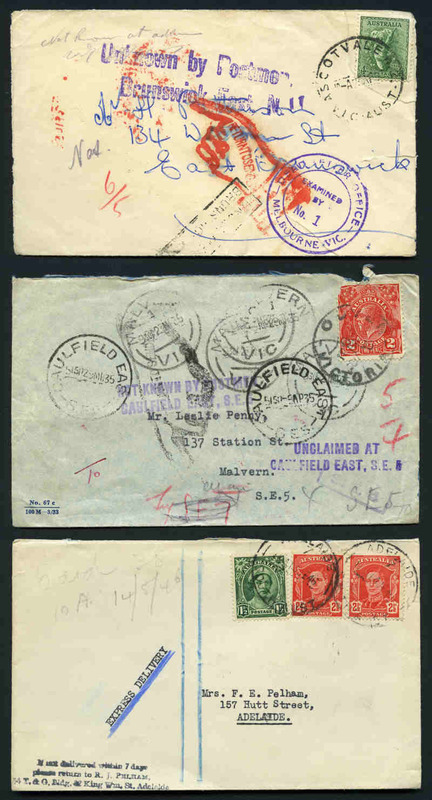 OF LANDS/SEP 25 1935/CHIEF CLERK'S OFFICE' timeclock postal marking, 2d Scarlet tied by 'PAY TRAIN/30DEC31/TRANS AUSTN RAILWAY' CDS postmark and 1925 Airmail cover from Denliquin to Melbourne stamped with 4½d Violet. 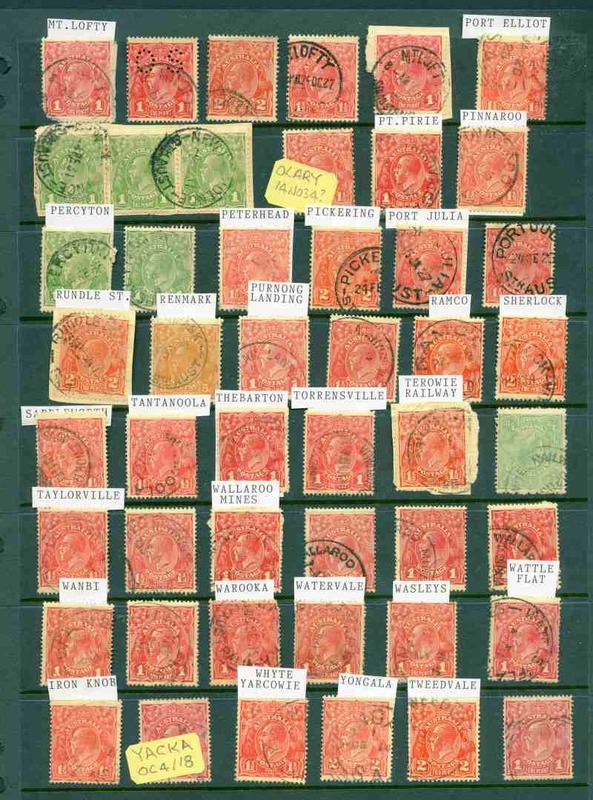 Frankings comprised of ½d Green (2), ½d Orange (3), Condition varies. 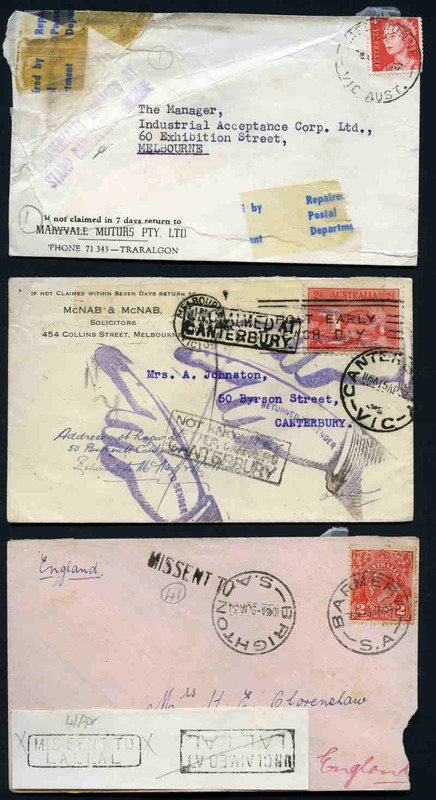 Selection of 58 commercial covers and several postcards, mostly stamped with KGV issues to 5d value including advertising, registered and underpaid covers. Noted 1d Green Large Mult Wmk and 1d Green No Wmk on Commonwealth Bank of Australia Acknowledgment of Order postcards, 'The beautiful Mt. 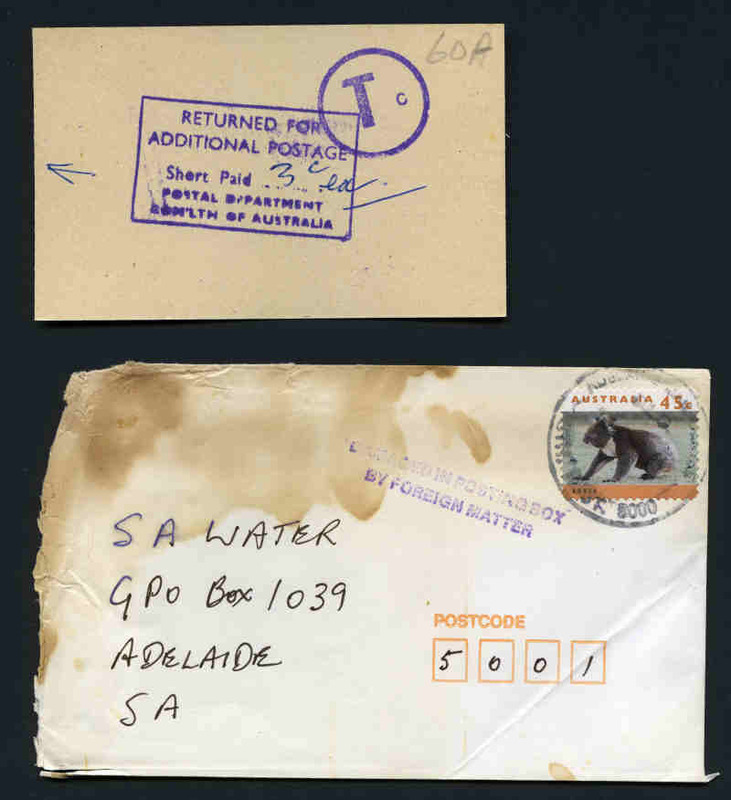 Riverview Lookout, Blaxland' advertising cover franked with 2d Scarlet C of A Wmk and 4½d Violet Small Mult Wmk perf 14 on registered cover. Odd variety and condition varies. 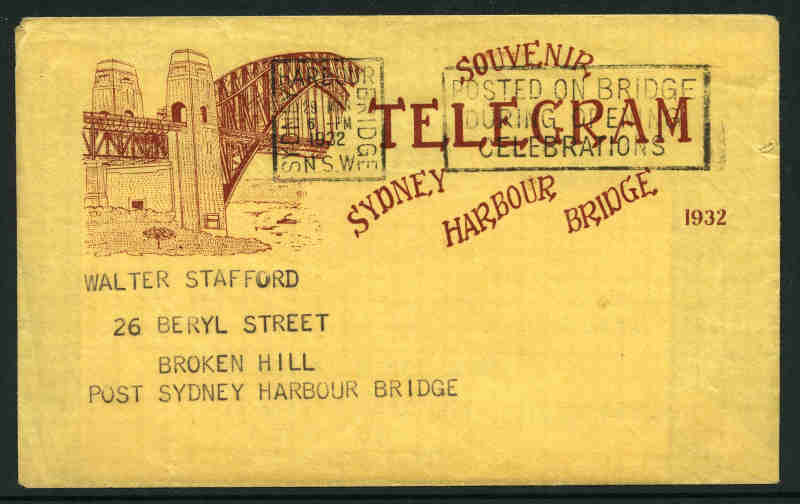 1932 Sydney Harbour Bridge Souvenir Telegram form with Sydney Harbour Bridge SE Pylon 29MR32 CDS postmark and matching envelope with Sydney Harbour Bridge NSW 29 MAR 1932/Posted on Bridge During Opening Celebrations slogan postmark. 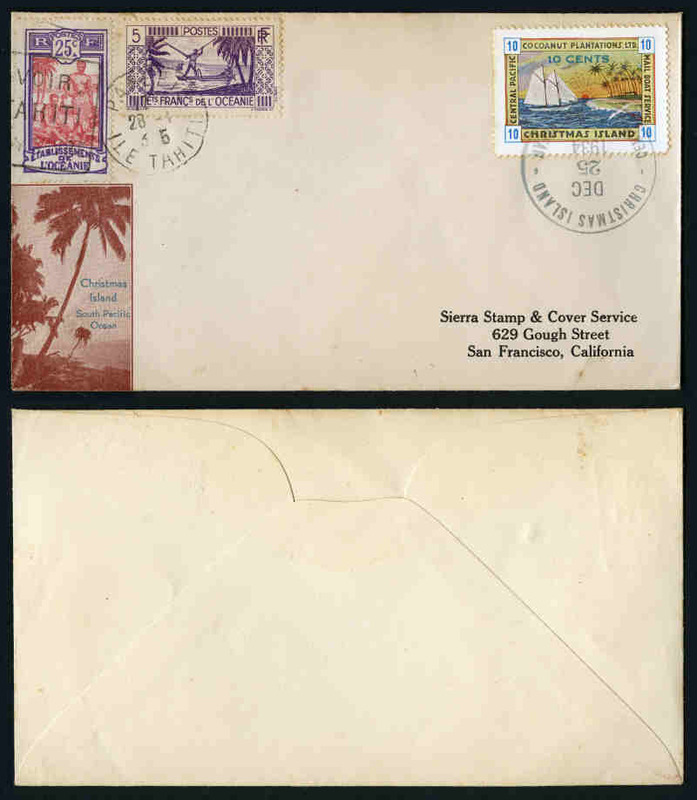 Envelope with tiny tear and faulty back. 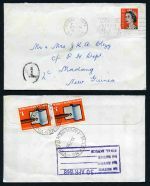 Selection of 200 FDC's, souvenir covers, Flight covers, Registered covers Censor covers and commercial covers including some New Zealand and Foreign covers from 1934 to 1979. Noted 1934 Macarthur set and 1936 SA Centenary set on plain registered FDC's and 1962 Commonwealth Games complete set of 26 special pictorial postmarks on official Hermes type covers, each stamped with 5d Commonwealth Games. Usual variable condition, but mostly fine. 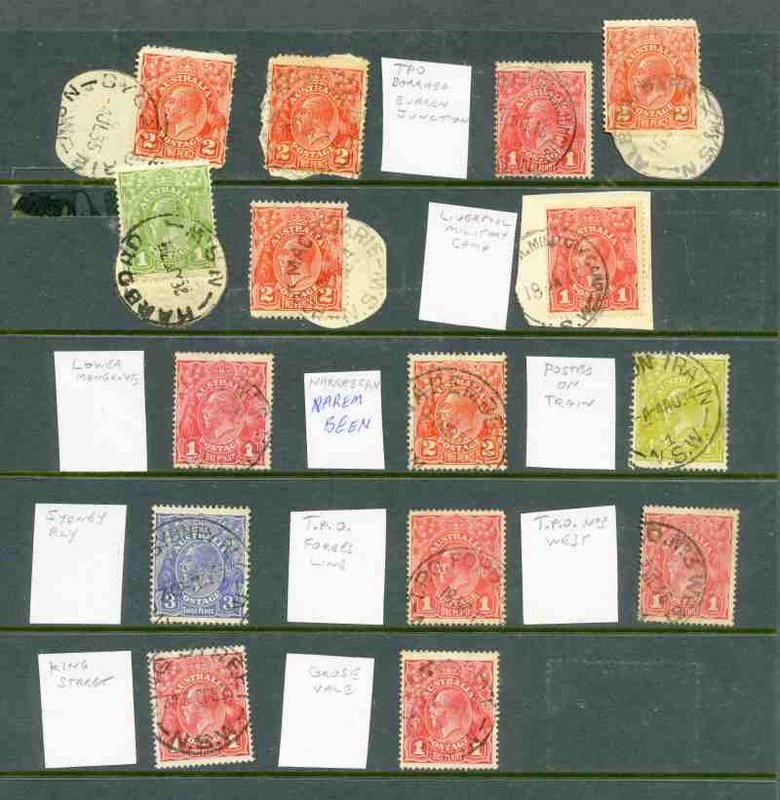 Accumulation of over 1,100 commercial covers from 1912 to 2008 with a wide range of Post Office instructional markings including Insufficient Postage, Unclaimed, Not Known By Letter Carriers, Stamp Fallen Off, Not Known By Postman, Insufficiently Addressed, Left Address, Accidently Damaged, Advice of Receipt, No Address, Found Loose in Mail, Redirection Expired, Closed Against Inspection, Repaired by Australia Post, Dead Letter Office, Missent To, The Inadequate Address Delayed This Article, Hold For Attention, Stamp Lost in Transit, Damaged in Machinery, Returned For Additional Postage, No Post Town, Accidently Damaged By Stamp Cancelling Machine, Refused, On Active Service Air Mail Concession Rate, Insufficiently Prepaid For Airmail, Damaged in Posting Box by Foreign Matter and more. 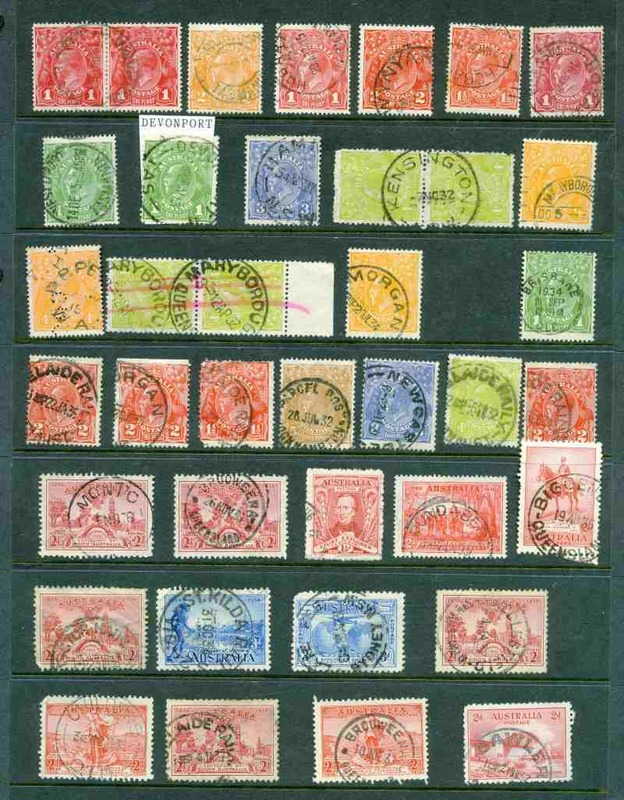 Interesting lot, with many variations of markings and some registered and certified covers. Large quantity of commercial covers from 1930's to 1990's in 6 shoeboxes with a wide range of CDS and machine cancellations and some meters. Noted 1975 Cyclone Tracy concession cover. Accumulation of thousands of meter cut-outs from 1930's to 2000's with all States represented and many with proving return addresses in 8 shoeboxes, plus some covers. Main strength from 1980's onwards. 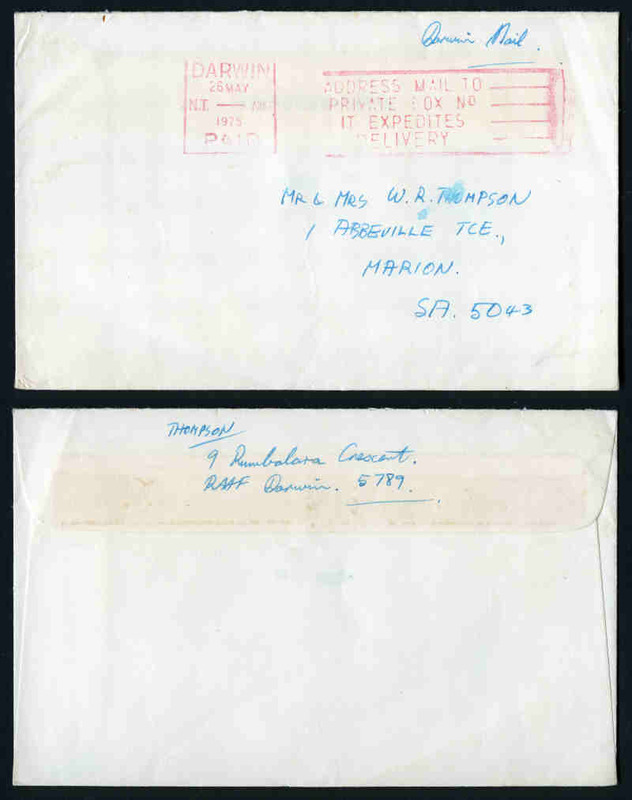 Noted 1975 Cyclone Tracy concession cover fronts (2). 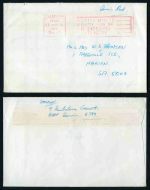 1975 Cyclone Tracy concession Airmail cover with Paid slogan postmark in red. Fine condition. 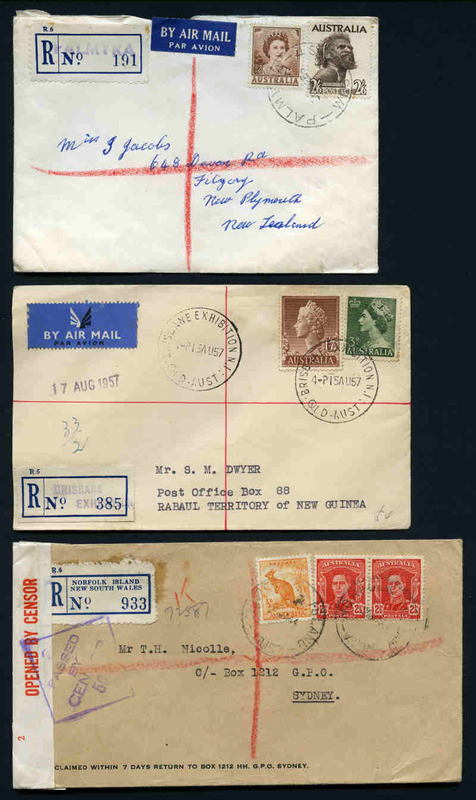 Selection of 11 Underpaid covers from 1968 to 2001, mostly addressed to Papua New Guinea and 15 commercial covers franked with International stamps from 2001 to 2004, mostly addressed to Yemen. 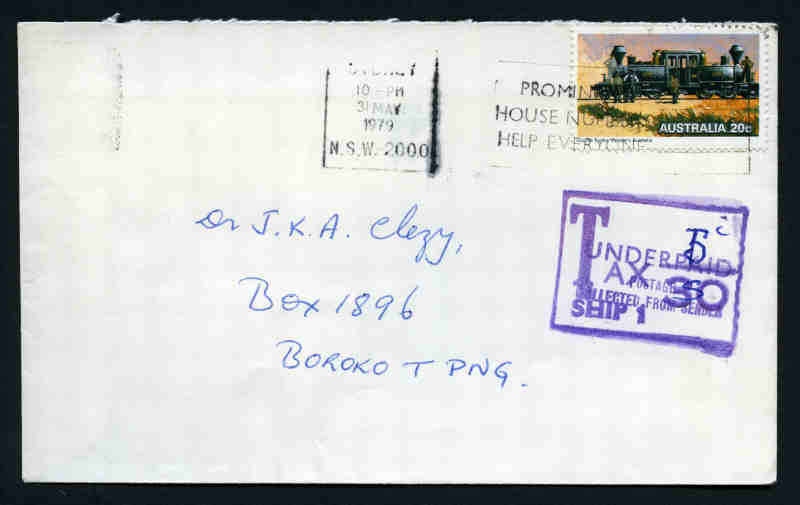 Noted 2001 Underpaid cover to Yemen with additional Tax & Rewraps Office, Vic CDS postmark. Accumulation of many thousands of stamps on piece cut, to include full slogan postmarks from 1930's to 1990's with all States represented in 5 shoeboxes. Includes some Paid slogan types. Selection of 248 Stamp Replica Cards and 106 Collector Card packs containing 398 individual cards from 1984 to 1995 including many duplicates. High cost price. 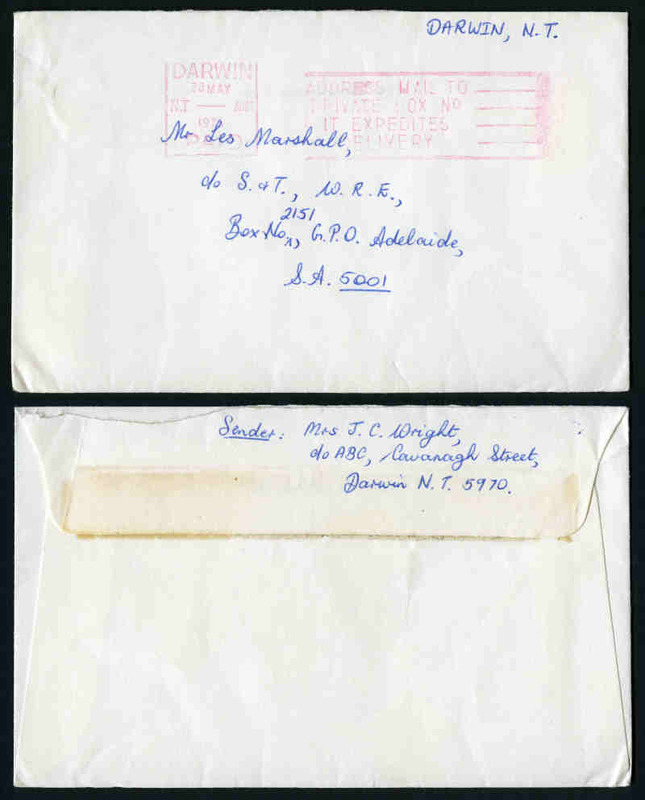 Accumulation of thousands of Priority Paid commercial covers, mainly from the 1980's, with a variety of frankings used and a wide range of Priority Paid postal markings, some Instructional markings, Test Articles and Certified covers. Collection of Maximum Cards from 1986 to 2001. Face Value $550.16. Collection of 328 Maximum Cards from 1986 to 1994 with the odd duplicate and a few Australian Antarctic Territory. Face Value $220.48. Collection of Maximum Cards from 1986 to 2003. Face Value $682.78. Also 1976, 1978, 1981 and 1982 (2) postcard sets and 1988 Bicentennial Exhibition 60¢ and 80¢ postcard set of 2 (2 sets), 1988 60¢ and 80¢ Expo postcard sets of 6 (4 sets) and 1990 Melbourne's Olympic Bid postcard set of 3 (2 sets). ASC P45-P53. Collection of approximately 1,900 mostly modern CDS postmarks, on piece, with all States represented in 3 albums. Accumulation of 434 commercially used Registered Post, Express Post, Parcel Post, Security Post, Express Courier including some instructional markings and Private Delivery Services. 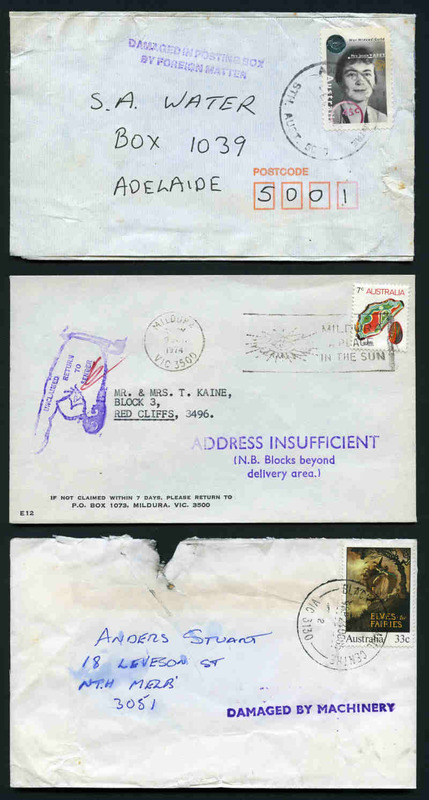 Noted 1988 Letterpack Express Courier envelope with "Trunk Route Failure/e.g. Airline Strike/Delivery Code 1" marking. Circa 1980's to early 2000's. 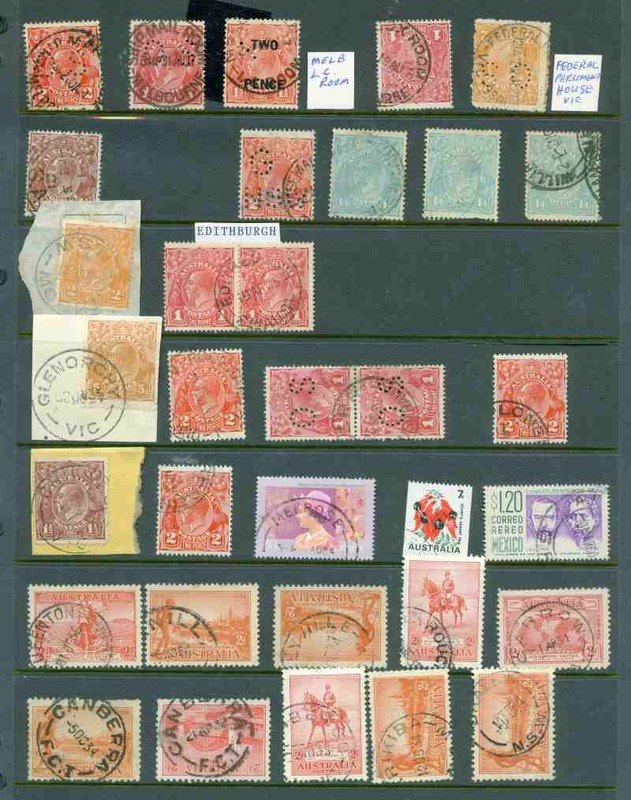 Collection of 212 different C.D.S. 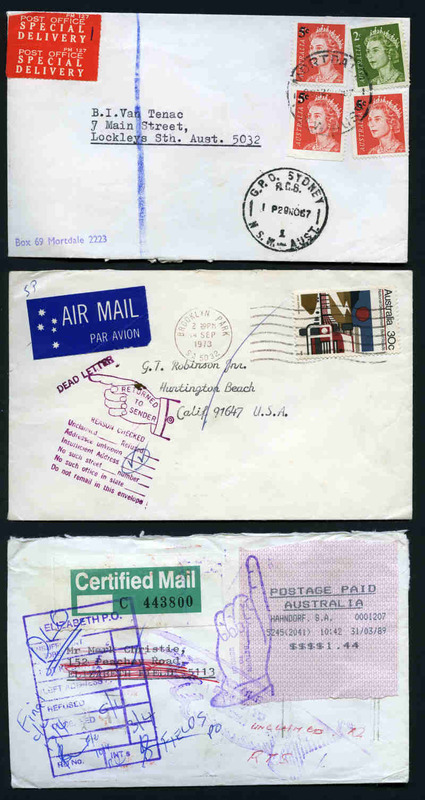 postmarks, mostly on plain envelopes from 1991 to 2003, many with corresponding photograph of the Post Office. 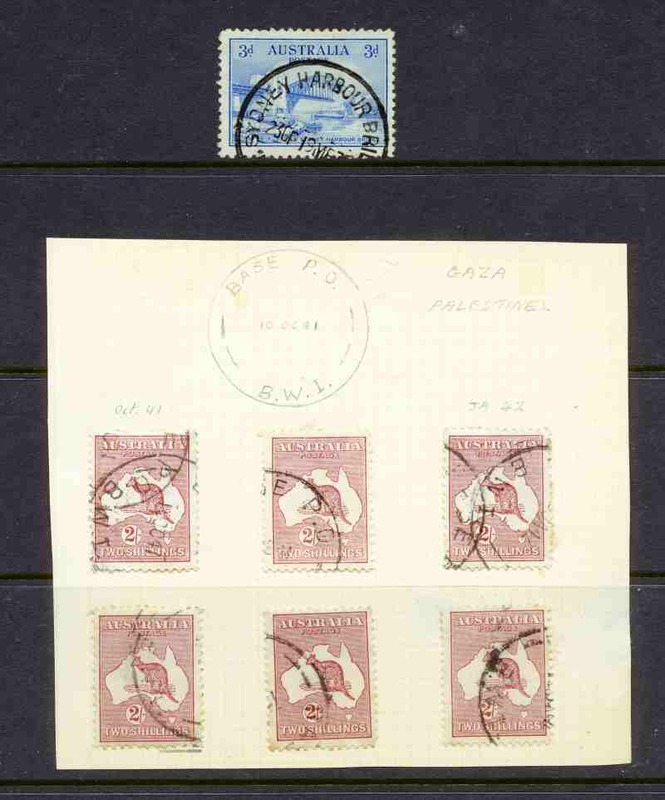 All States represented with several Pictorial postmarks and some additional photographs. 1995 Commememorative cover carried on the Inaugural Indian Pacific Train linking all mainland state capital cities. 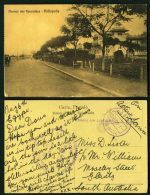 The train departed from Perth 1st June and arrived in Brisbane the 6th June via Adelaide, Melbourne and Sydney. 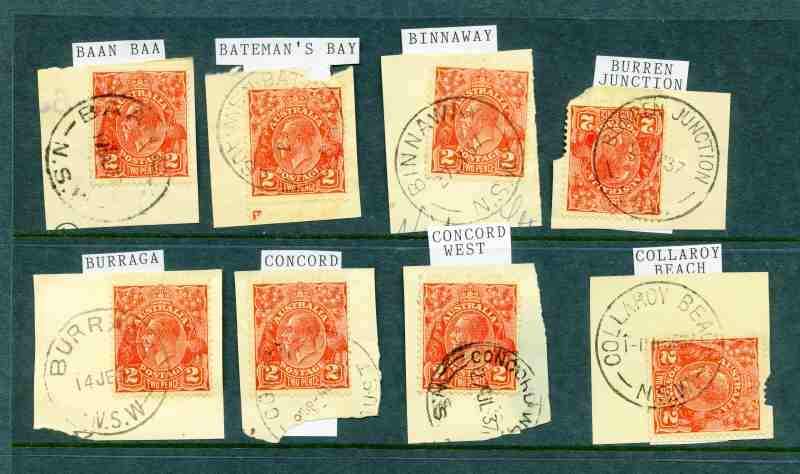 Perth and Brisbane CDS postmarks. 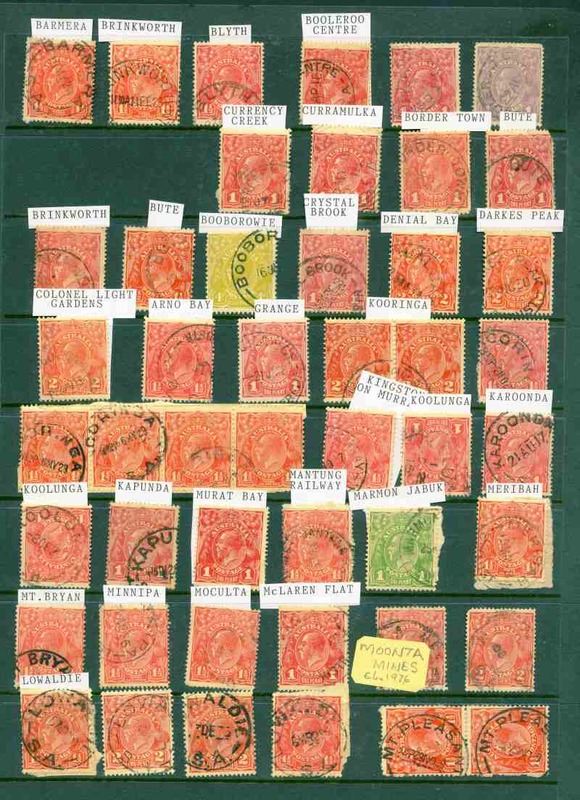 Accumulation of 236 covers and miscellaneous items from early to modern including some Foreign content. 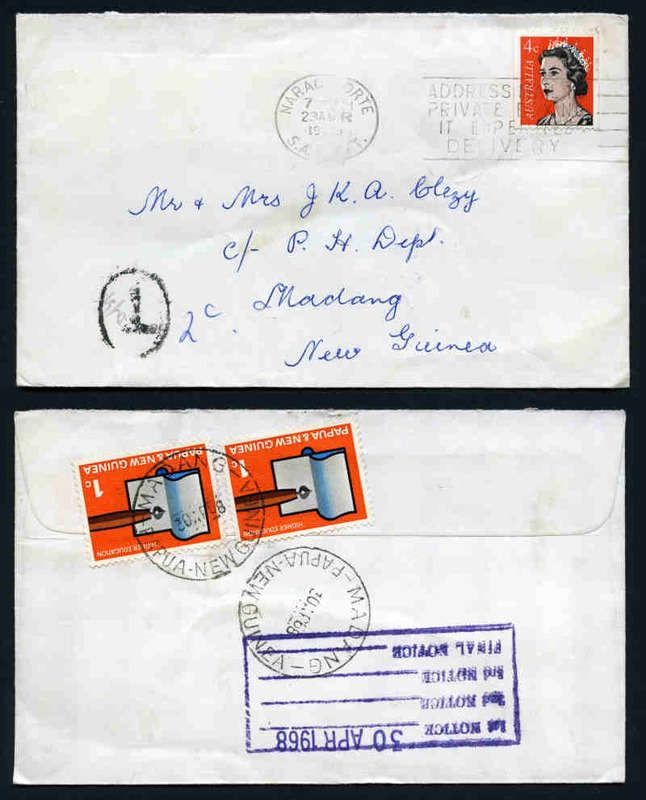 Noted 1937 3d Blue Die I KGVI illustrated FDC, 1945 cover with "H.M.A.S Hobart Tokyo 2 SEPT 45" cachet, present in Tokyo Bay During the Surrender Ceremony and 2 WWII Clarrie King illustrated covers. Also 330 mostly mint PSE's and 1976 Red, 1978 Blue, 1981 Brown, 1982 Black and 1982 natural Heritage postcard packs. 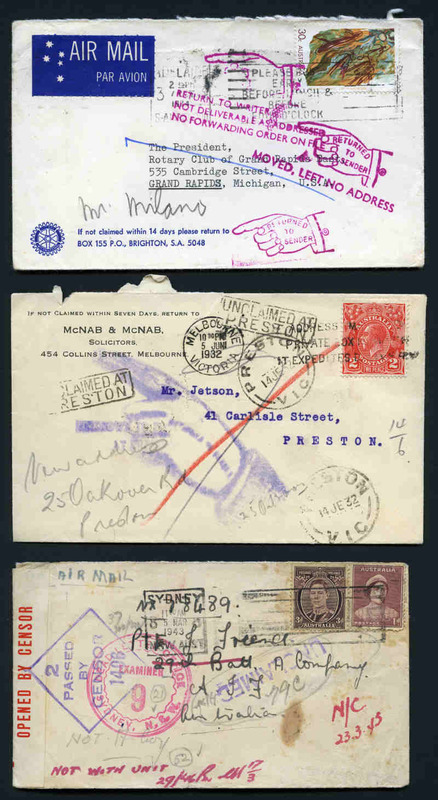 Accumulation of 581 FDC's and souvenir covers from 1946 to 2000 including some Foreign and miscellaneous items. Noted 1970 Expo set, 1970 Royal Visit set and 1970 5¢ Grasslands on official unaddressed FDC's and 1982 Commonwealth Games M/S on FDC signed by Shirley Strickland, Trevor Bickle and Colleen Pekin with Athletics Association of Western Australia cachet. Varying condition, but mostly fine. 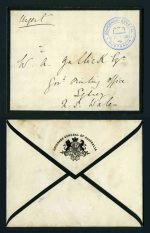 Carton containing accumulation of over 3,750 commercial covers from early to modern including Registered covers, Certified covers, Meters, Advertising covers, Censor covers, First Day covers, Modern Postcards, Old Bank receipts, Priority Paid, Security Post, Instructional Markings, Special Postmarks, Postal Stationary and more. Main strength from 1970's to 1990's with some Foreign content. Christmas Island Locals 1934 (Dec.25) cover to USA bearing 1934 10c Coconut Plantations tied by clear strike of "CHRISTMAS ISLAND/CENTRAL PACIFIC OCEAN" paying the rate to Tahiti with additional 5¢ and 25¢ French Oceania issues tied by PAPEETE slogan cancel added to meet the rate to USA. 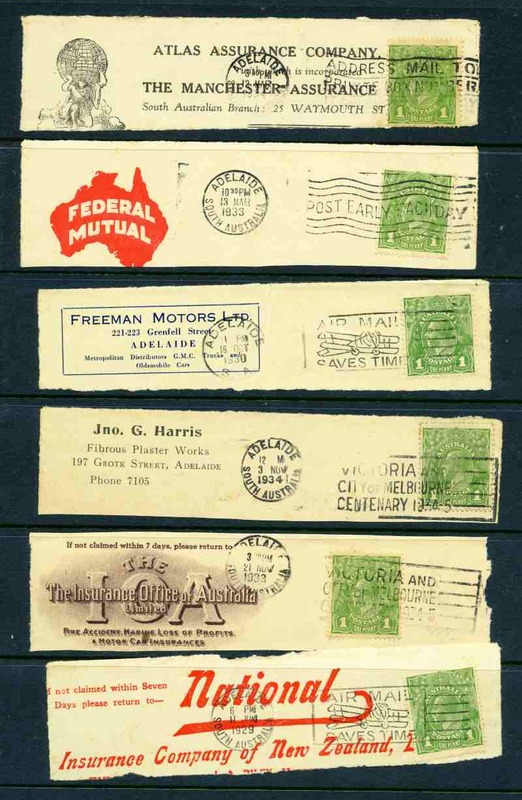 Attractive combination franking in fine condition. 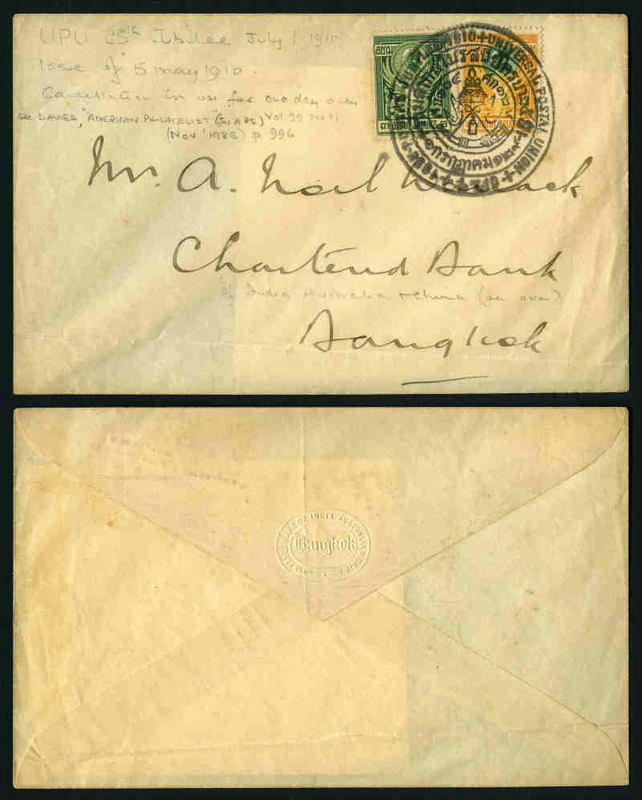 1910 cover addressed to Bangkok, franked with 2s and 3s King Chulalongkom, tied by the July 1, 1910 44mm pictorial datestamp used on that day only to commemorate the 25th Anniversary of Siam's Admission to the Universal Postal Union. 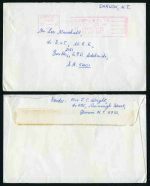 Accumulation of over 1,400 covers, postal stationary and miscellaneous items from 1840 to late 1970's including Embossed Envelopes, Aerogrammes, Entires, Lettercards, Registered Letters, Newspaper Wrappers, Postcards, Registered covers, Advertising covers, First Day Covers, Meters, WWII Censor covers and more. Main strength in Australia with some duplication. Noted Great Britain 1840 1d Mulready Lettersheet unused from Stereo A7 with minor faults. Varying condition. 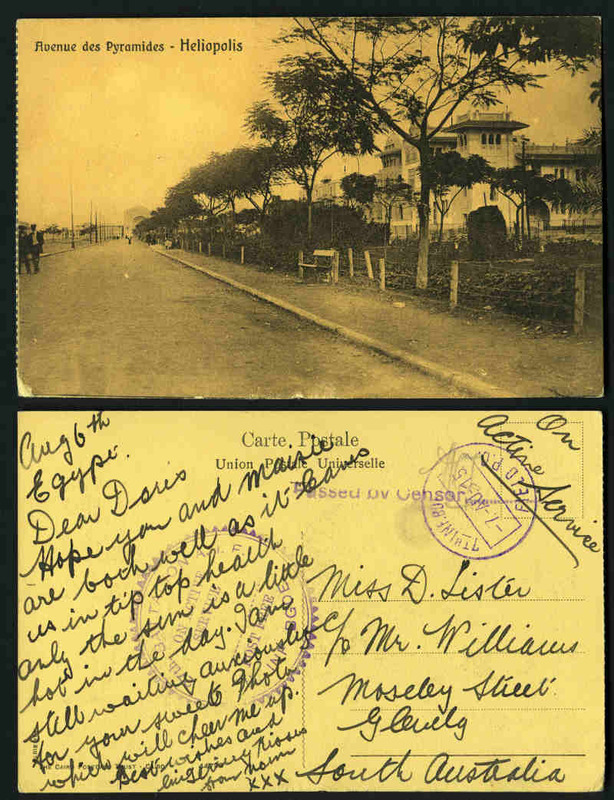 Accumulation of 1,970 Covers, Postal Stationery and miscellaneous items from a range of countries and periods including Commercial covers, First Day Covers, Aerogrammes, Pre-Stamped Envelopes and more in wine carton. Main strength in Australia. 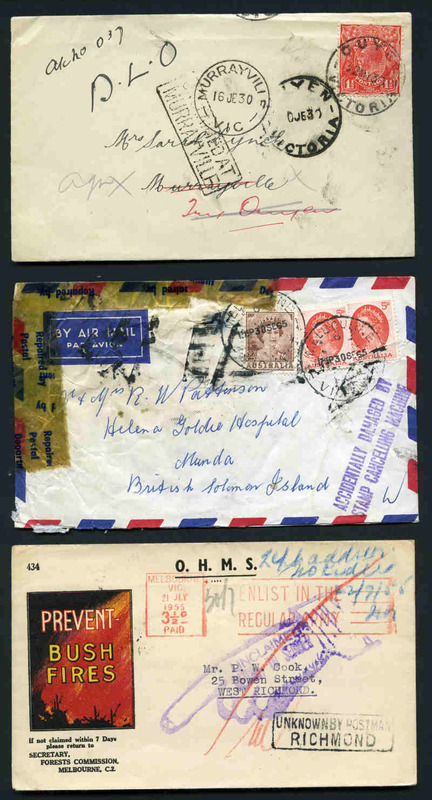 Accumulation of 1,378 covers and miscellaneous items from early to modern including Commercial covers, First Days Covers, Postal Stationery items, First Flight covers, Post Cards, Registered covers, special postmarks and more. Main strength in Australia including handy items and some duplication. Noted 1983 75th Birth Anniversary of Sir Donald Bradman souvenir cover signed by Don Bradman. Condition varies.